Walking in the Illinois State University Horticulture Center garden this week, I see the hover flies (aka syrphid flies or flower flies) are covering any nectar-producing flower in droves. These flies, commonly mistaken for bees are one of our most prolific pollinators in the Illinois garden. 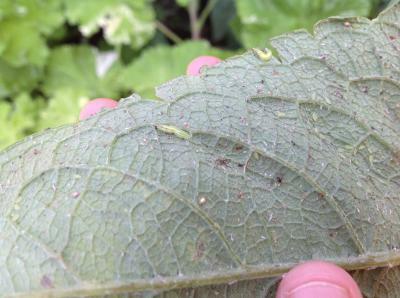 In addition to their pollinator services, their larvae are ferocious meat eaters. 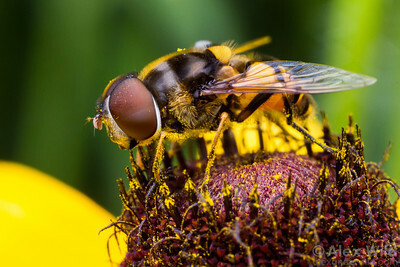 Hover flies are excellent fliers, flying backwards and forwards and hovering over their beloved flowers and occasionally like to sip your sweat. Hover flies are yellow and black bee-mimics that feed on pollen, nectar and honey dew (frass of phloem feeders.) They mimic bees and or wasps for protection against predators such as birds. They are easily distinguished from bees because they are shiny and bees are fuzzy. They are easily distinguished from wasps in that they have two wings and wasps have four. Sandy Mason, State Master Gardener Coordinator, puts it all in perspective by saying, "count the wings. Two wings fun four wings run. 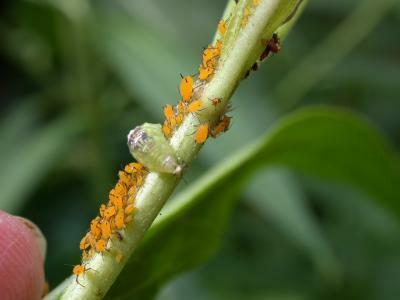 "The female hover fly lays her eggs in amongst the aphids and in two to three days the larvae hatch. With many generations per growing season, they are here to stay. If you see and aphid or mealy bug infestation in your garden be sure to turn over the leaves to look for these beneficial maggots before you spray. 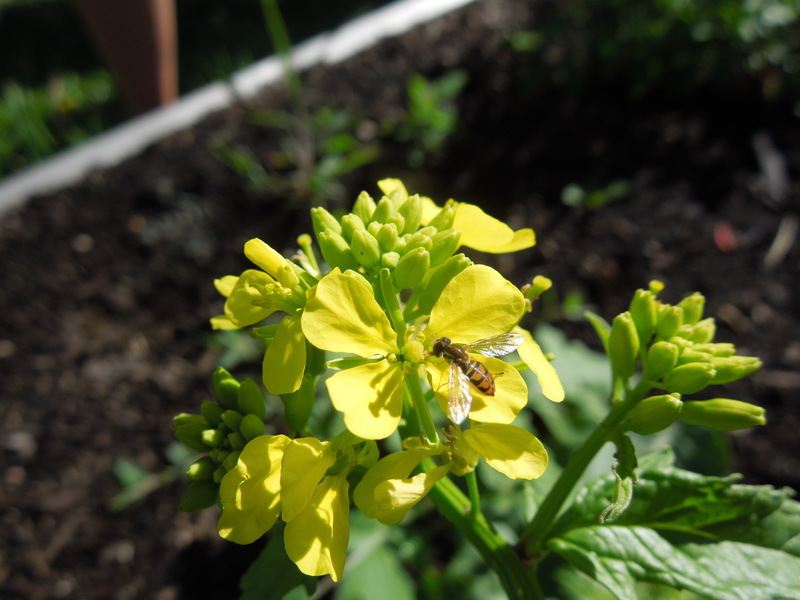 University of Minnesota, just release a trial garden report on flowers that attracted pollinators and found the following annuals were excellent additions to lure these beneficial insects to your garden. Zinnias was number in attracting pollinators, followed by 'Tangerine Dream' and 'Bambino' marigolds. The list also included salvia 'Coral Nymph,' rudbeckia 'Irish Eyes,' sunflower 'Lemon Queen' and snapdragons as their top performers.